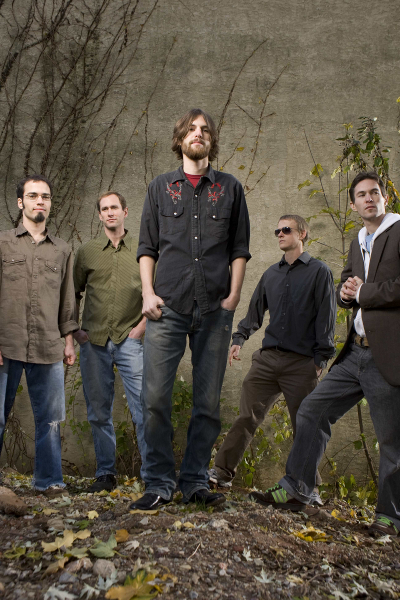 Published on July 19, 2011 in Bands/Artists, Music, Uncategorized and Vinyl. 0 Comments Tags: album release, ATO Records, CD, cover art, Dawes, Drive By Truckers, My Morning Jacket, SCIFidelity, Umphrey's McGee, Vinyl. 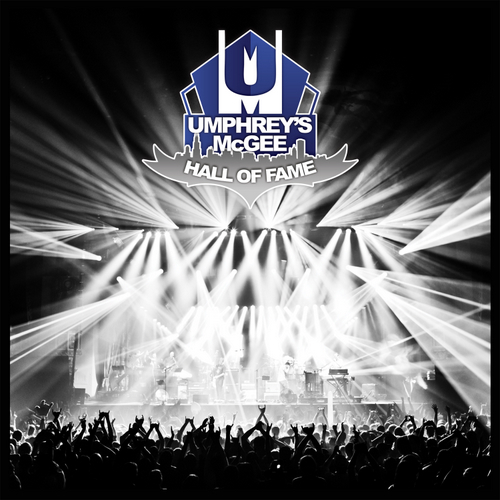 Very soon on the heels of their self-released 2 LP and digital-only release of 2010 Hall of Fame that I reported on previously, Umphrey’s McGee announced their new studio album! To be titled Death By Stereo, it will be released on September 13th. Death By Stereo marks the first release by the band since their move to ATO Records— home of Dawes, My Morning Jacket and Drive-By Truckers. While no explicit reason is given for the move from long-time home SCIFidelity, it is my opinion that this move will probably give the band some resources not available to them on SCIFidelity as far as distribution and promotion, if not visibility. With the amazing pre-sale madness surrounding Mantis with its massive amount of free downloads, I’m sure we’ll get something just as cool with this release. Since they are on ATO, I’m hoping that the vinyl release will be 2 LP’s of 45 RPM 180g vinyl, just like Dawes has done for their two LPs. The band is already soliciting opinions about whether to include a CD or just download codes, so they are maintaining their practice of keeping their finger on the pulse of the fans. Unplugged Musings has an article with some speculation on additional songs that could make Death By Stereo with video clips. Published on October 3, 2009 in Bands/Artists, Downloads, Media and Music. 0 Comments Tags: 3-13-09, Live, Mantis, mp3 download, mp3HD, Murat, Umphrey's McGee. 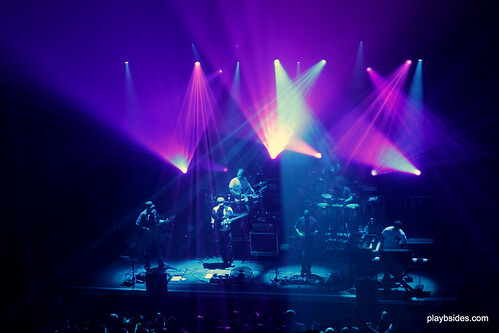 Umphrey’s McGee is a band that embraces technology. This is one of the things that really impresses me about the band. You can download every show within days of the performance at umlive.com in mp3 and FLAC formats with cover art, you can purchase a CD of the show at the show if you prefer. They have done subscription simulcast video over the internet, they twitter, they Facebook, they MySpace, they blog. They support taping and they have a very extensive archive of live shows on archive.org. Not to mention the bonus material afforded to the purchasers of Mantis via Push! As a result there is a lot of content readily available from the band. Even before a potential new fan would need to purchase anything they can get a pretty good sampling. 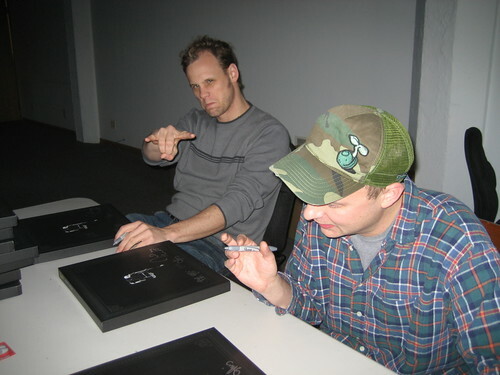 In April Umphrey’s McGee partnered with Thomson and Fraunhofer– the owners and developers (and licensors) of the CODEC used for creating mp3 files– to provide part of their 3/13/09 performance at the Murat Egyptian Theatre in Indianapolis in the new MP3HD format. MP3HD is an attempt to provide a compressed, yet lossless file format (think a .WAV file) while maintaining the ubiquitous compatibility with mp3-capable software and mp3 players. 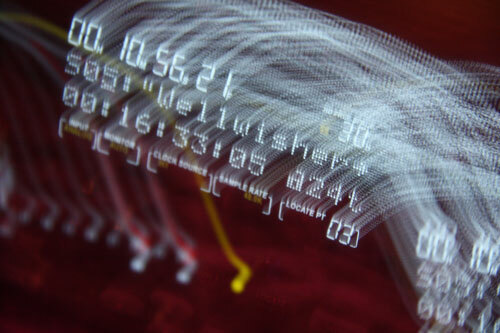 This is achieved by providing mp3 compressed data along with the lossless data inside the file. This makes the mp3 player think it is playing a regular mp3 file, but devices and software that is mp3HD-compatible will be able to play the higher-fidelity lossless content. Even with the stacking of the file content they are able to achieve on average 4X compression over the uncompressed .WAV version. This is primarily because the mp3 portion tends to be very compressed. The Umphrey’s show has 128Kbps mp3’s, which by most people’s standards is pretty lossy bitrate. Amazon.com provides mostly 256Kbps or in some cases 192Kbps mp3 from their store for example. Certainly one might question the need for MP3HD. Anyone who has been dealing with lossless music files over the years have been using FLAC (Free Lossless Audio Compression) to do their bidding, and FLAC is free– that is no one is paying to provide that support– all software and hardware that is able to play mp3’s today should be paying licenses to Thomson. Both Microsoft and Apple provide their own version of lossless compressed files, too– Apple’s ALAC, and Microsoft’s WMA Lossless. But, as you might imagine, neither of those formats are supported directly on the other’s media players, and neither player supports FLAC. 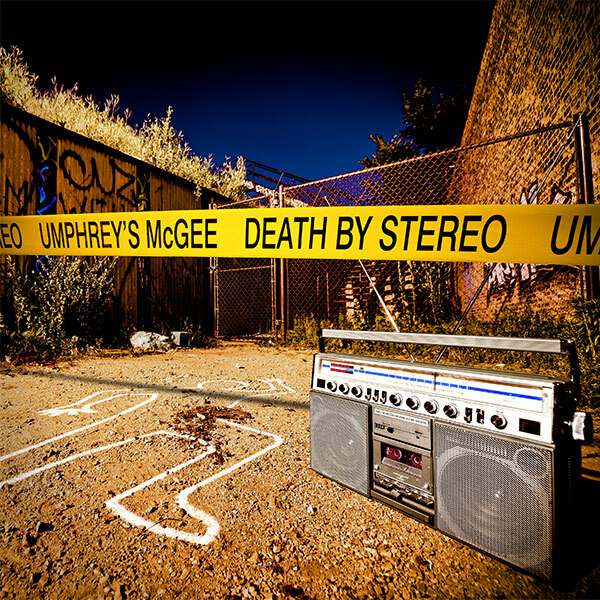 As a result, if I want to have the lossless versions of Umphrey’s McGee shows, for example, I would download the FLAC files, and either burn them to a CD if that was my medium of choice (my CD burning software support FLAC) or I would have to convert them to mp3 using a utility or extract to WAV and convert with iTunes or Windows Media Player. (Note: There are other ways to achieve this but I’m not interested in providing a primer on making mp3 files here) I can then put these on my media player of choice. This is a lot of messing around to get to the final result and most people aren’t interested in doing all of that work so they will just stick to mp3’s. The other issue here is that I end up having to manage two or more copies of the music. The lossless version in addition to the one that is the copy of the mp3’s for my media player. I don’t mind juggling the files around as I’m pretty used to it by now, but the ability to only have one file that has both compressed and lossless is very appealing to me. I don’t like 128Kbps mp3’s, however, and I don’t have any devices that can play mp3HD so I have to convert them anyway to get a higher bitrate. I looked at the tools provided by all4mp3 and it appears that one can choose a higher bitrate for the mp3 data– of course this would be at a sacrifice of the 4X compression. So, we’ll see if this takes off I guess. I think ultimately this is the right idea, but there is a lot of consternation surrounding the licensing. I would rather that Apple just added FLAC support to the iPod/iPhone/iTunes, really. (Another solution would be the open source project Rockbox can be installed on an iPod providing FLAC support which isn’t a solution for most iPod owners). Getting back to the Umphrey’s show, it is a pretty good performance. 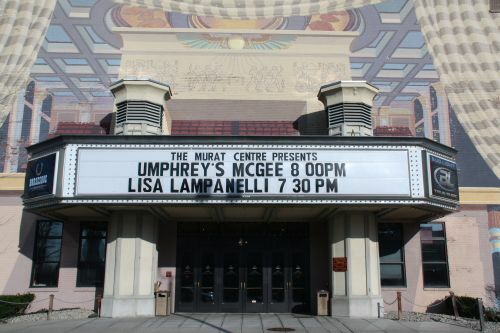 The Murat is a very friendly location for the band to play– and they say so during this show. It also explains why they chose The Murat for their live album. The songs shared make up most of the second set and the encore from the 3/13 show. Looking at the setlist database at umphreys.com it looks like they edited out the “Another Brick in the Wall”/”Thriller” mashup second set closer, which is probably due to licensing the song. The Jimmy Stewart from this set is a vocal Jimmy that is pretty good, too. (A “Jimmy Stewart” in the band parlance is an improvisational performance). Published on December 22, 2008 in Bands/Artists, Downloads and Music. 0 Comments Tags: Christmas, Free Download, Live, Mantis, mp3, Umphrey's McGee. Hot off the heels of the Umphrey’s Holidaze Cruise to Jamaica and all rested up for the upcoming NYE run, the boys of Umphrey’s McGee were feeling generous in the spirit of the season and have decided to give away a free holiday 3-song EP of never-before released material spanning the holiday shows from the past few years. Downloading the EP requires that you have a UMLive account– which you would have if you are participating in the Mantis pre-orders or have ever ordered any shows from the band. Either way, if you don’t have one it is pretty painless and worth it. They don’t tell you which years these tracks are from, unfortunately. Maybe it will be more clear when we get the Acoustic Christmas tracks in the Mantis bonuses. I about fell out of my chair when they broke into the Menard’s commercial. Clearly they are from the Midwest, where the Menard’s commerials are part of the advertising din! 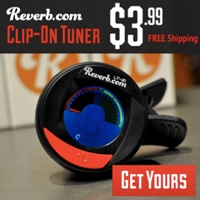 Click on the banner above to sign up and download your free Christmas mp3’s from Umphrey’s McGee! Published on December 9, 2008 in Bands/Artists, Media, Music and Radio. 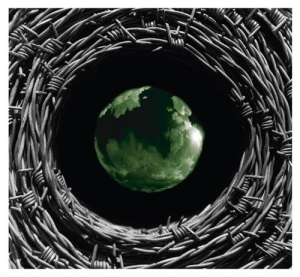 0 Comments Tags: cover art, Downloads, Leaked Tracks, Mantis, Umphrey's McGee. The UM camp released some more information about Mantis recently including a large version of the album artwork, the track listing, another track from the radio promo and some nifty wallpapers. From The Floor blog, we get the radio edit of “Spires” as well. Notably, the “Made to Measure” that the band made available to everyone who signed up for a UMLive account is the full version of the track at 3:12. If you want to hear “Preamble” it is the first song played in the player on the Mantis mini-site. In case anyone was worried that Mantis was going to be some exploration in radio-friendly pop music based on “Made to Measure,” check out the track times. There are four songs over seven minutes, and one song clocks in at 11:49! So, while this may be an album representing a change in the band, they aren’t eschewing extended workouts from their catalog. Click Here to go to the Mantis mini-site and pre-order the album, and download some nifty wallpapers. Published on December 3, 2008 in Bands/Artists, Downloads, Media and Music. 0 Comments Tags: bonus, cemetery walk, Downloads, Made to Measure, Mantis, spires, Umphrey's McGee. Developments in the Umphrey’s McGee camp as it applies to the release of Mantis are keeping me pretty busy here. Mostly this is because I’m one of the folks who has invested in the pre-order of the album, so I’m eagerly awaiting any surprise freebies, downloads, etc. While the pre-order crowd waits for the stalled progress bar on the Mantis page to move to unlocking Level 7 and exposing the promise of Level 8 with baited breath, other events have transpired this week. It seems that promos have been sent to radio stations who are “crunchy friendly” or would play Umphrey’s McGee in their rotation. This promo CD has radio edits of three songs apparently– the already-shared “Made to Measure” which is now freely available to anyone who clicks on the link on the page and signs up for a UMLive account, “Cemetery Walk” which is currently on the band blog complete with a posting talking about the development of the song which started back in 2007, and another track called “Spires” which was apparently aired on a couple of radio stations already. Click Here to download “Cemetery Walk” (This is the obscured link on the blog page player– so if they take this down, this link won’t work). In addition to all of this, Thursday this week (12/4) is when the pre-order folks will be able to download “Level 1” of the pre-order bonus material, which has some really cool stuff in it including four tracks of their 2005 Acoustic Christmas Benefit Show. More on that when I get to download that on Thursday. The Time to play b-sides archives for the umphreys-mcgee tag.